Buenos Aires is overflowing with dulce de leche. Whether it’s stuffed in a pastry, spread on a tostada, or my personal favorite, eaten by the cucharada, this caramel spread is a pervasive Argentine treat that makes its way into breakfast, lunch and dinner. 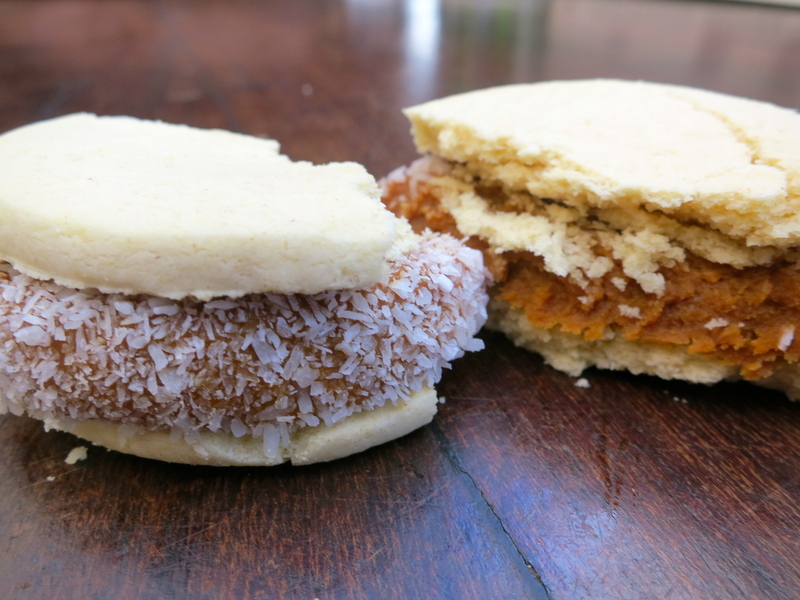 Perhaps the most common appearance of dulce de leche in Argentina is sandwiched between two shortbread cookies in the famous alfajor. I’ll just nip this in the bud for all the immature giggling gringos: yes, that’s pronounced in a way similar to how one may refer to a number one prostitute in English. Sigh. Some people…. I’ve not yet attempted to create my own alfajor. There are so many already on the market, I’ve kept myself busy sampling them all instead. The windows of every confitería in Buenos Aires boast piles of the delicate cookies, dusted with powdered sugar, rolled in coconut or dipped in chocolate. Many cafés and restaurants have their own home-made versions, ranging from tiny bite-sized cookies to cookies as big as your face. And kioscos on every corner offer a variety of pre-packaged options. Of course, being somewhat snobbish about things like this (homemade > store-bought) that was the last place I expected to find a winner. But hands down, without a doubt, no two ways about it, Cachafaz es lo más. The best of the best. 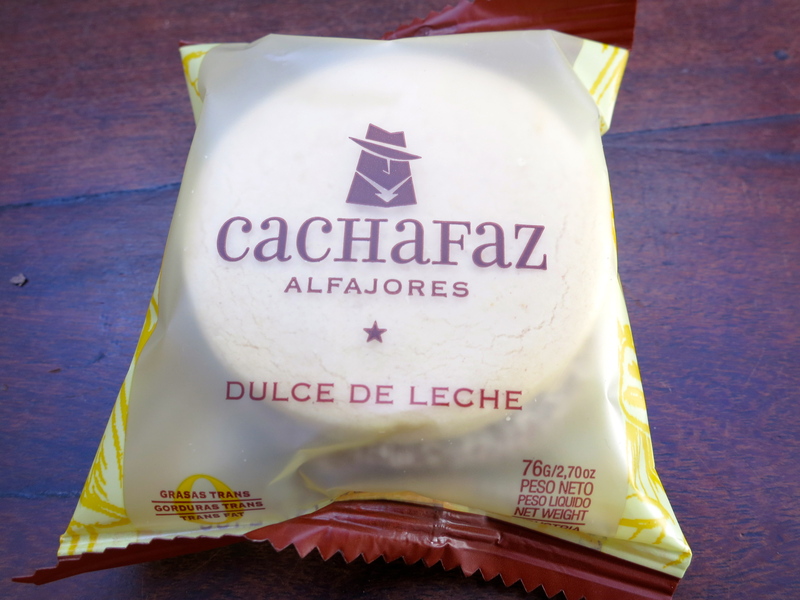 The alpha alfajor. 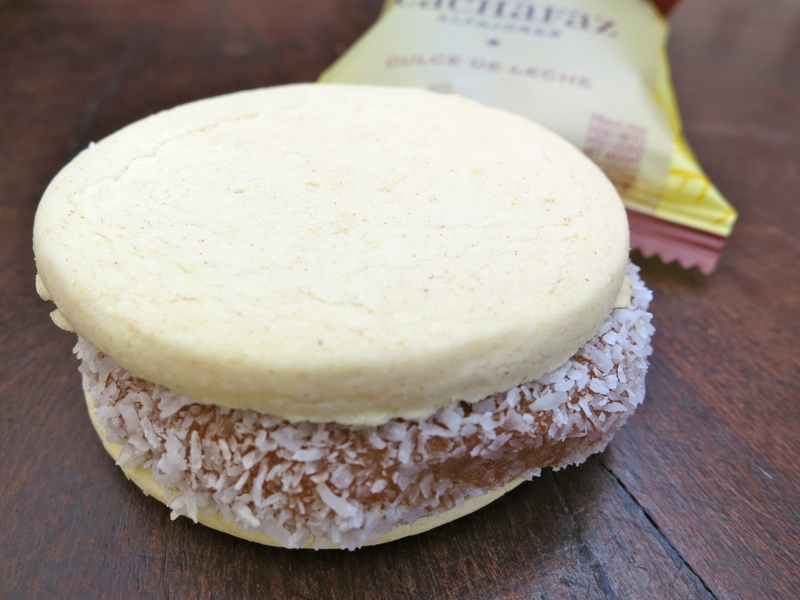 Cachafaz makes a variety of alfajores, but my favorite is the basic dulce de leche version: thick, creamy dulce de leche sandwiched between two buttery shortbread cookies and rolled in coconut flakes. They can be found at any local kiosco or supermercado chino for around $7 pesos a pop.